In association with Leeds Photographers Collective Exposure Leeds, Kirkstall Valley Community Association invited photographers to record the Kirkstall Festival to mark its 30th Anniversary, with everyone being welcome to take part, particularly from within the Kirkstall community. Date: Saturday 10 July 2010, 11am 6pm Venue: Kirkstall Abbey, Abbey Road, Kirkstall, Leeds. LS5 3EH. Order a Digital Hi-res copy 2024 pixels x 3047 pixels of this image for delivery via e-mail link. NOTE: The actual pixel dimensions of the ORIGINAL HIGH RES. 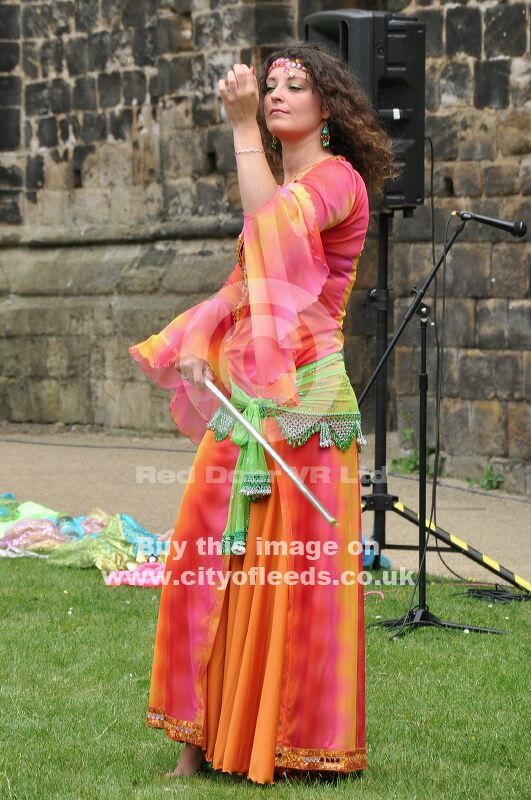 version of this image of Kirkstall Festival, Exotic Dancer are 2024 pixels x 3047 pixels.